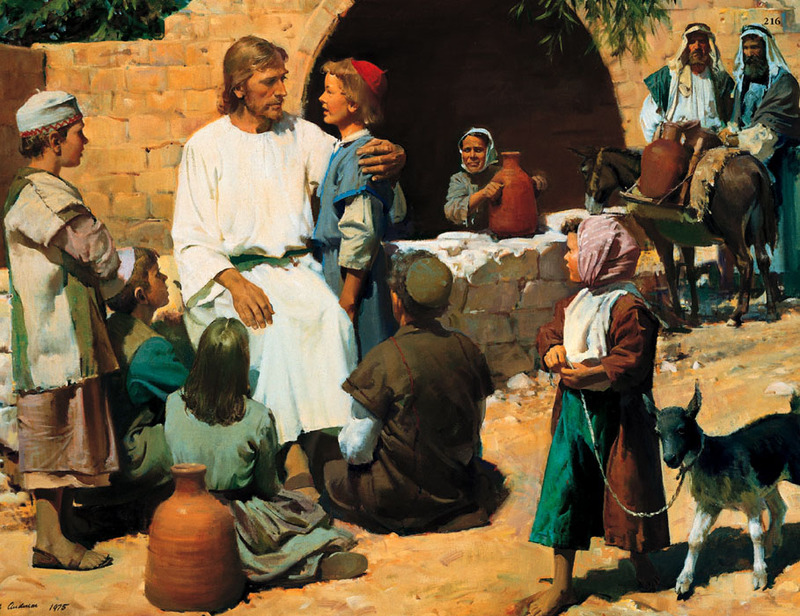 Mormons believe that every man, woman, and child is of infinite worth to God, and, thus, we should all be of worth to each other. Worth isn’t dependant on our actions, on our identities, on our accomplishments, our successes or failures. No matter who we are or what we have done, we are of worth. This does not change. This does not mean that we cannot lose worthiness before God—we all sin, and we are all unworthy to stand before Him on our own. We must think of the difference between worthiness as “goodness (or striving to be good)” and worth as value. Christ paid the price for all of us, not just the righteous. It is our choice to come to Christ, but in Mormon belief, we are valued by Him whether we turn or not. Why else does He count it so important for us to turn to Him and be happy? It grieves Him that we do not because of our worth in His eyes. Why is a feeling of worth important? Why is it good for children to know they are loved unconditionally? A child who feels valued and knows that he will remain valued even if he makes a mistake is actually less likely to make mistakes. The child will have greater self-respect and greater understanding of his potential. Thus, he will work harder to fulfill it—he will believe he has the capacity to be a moral, loving, hard-working person and is more likely to see his good actions as progress, rather than just staving off an inevitable failure. How do we instill this sense of worth in our children? How do we teach them that they are loved of God and loved of us and always will be? How can we teach them to feel love and respect for others, even those that hurt them? We can teach our children that external measures of worth aren’t necessarily good measures of worth. Having a lot of games or toys or a lot of money shouldn’t be a high priority (and your children are likely to pick up on whether buying that new car is more important than anything else for you). Being beautiful or famous is not important in the long run, and children should never feel like they have to worry about such things. In the Mormon religion, family is the first priority, not worldy possessions or acclaim. When the family is strong and worldly treasures are less important, even an awkward child can feel a sure sense of belonging and acceptance. He might not find it in school, but it will always be there at home. We should ever be careful about society’s obsession with the thin body, as this can be particularly destructive, even to young children. When self-worth is wrapped up in skinniness (whether the child is male or female) or anything physical, satisfaction can fluctuate with the whims of culture or the ever-pressing psychological need to look better and lose more weight. The world’s vision of self-worth can lead to potentially fatal conditions like anorexia. We can teach our children to look outside themselves. We can teach them not to become upset when they learn that they make mistakes, but, rather, to become less self-centered. We can teach them to volunteer, to give to others, to try to understand how people feel and to look for opportunities to serve them—whether by working at a food bank, becoming friends with people who are lonely or isolated, or doing little things around the home for the family. We can teach them to look for the good in everyone and not to dwell on the negative. And we can teach our children to know God and themselves, through prayer and scripture reading and keeping a journal of their experiences. Mormons put special importance on journal-writing. Most of all, we must love our children and let them know it.